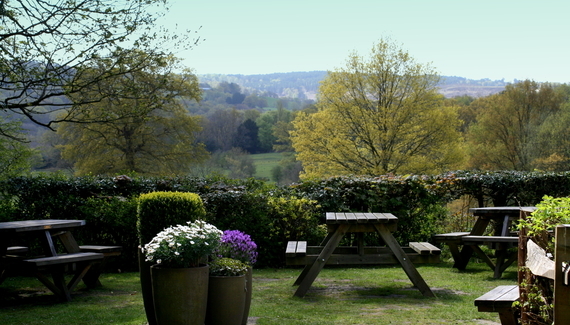 Originally a row of three 1430s cottages, this landmark pub sits contentedly in a sleepy hilltop spot with glorious views over Ashdown Forest. 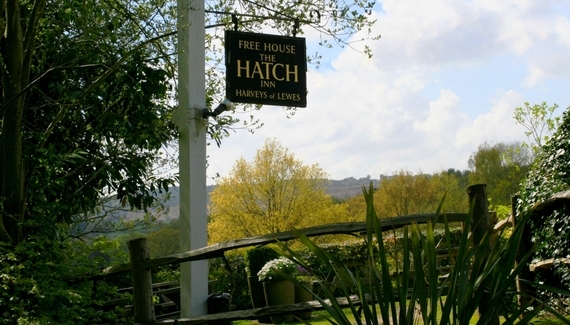 Arriving at The Hatch (named after a gate that leads to the forest) feels like stepping back in time: beamed ceilings, roaring open fire, candles flickering on rustic wooden tables. The intimate, bustling bar is filled with happy people milling about chatting, eating and drinking (there are local ales on tap and no fewer than ten wines by the glass). In the summer you can spill out to the pretty garden. Proprietor Nick, and his talented kitchen brigade with head chef Ollie Hockaday, turn out bistro-style seasonal dishes: tuck into ham hock terrine followed by hearty kedgeree and chocolate torte; bar managers Henry and Mandy run everything else effortlessly. 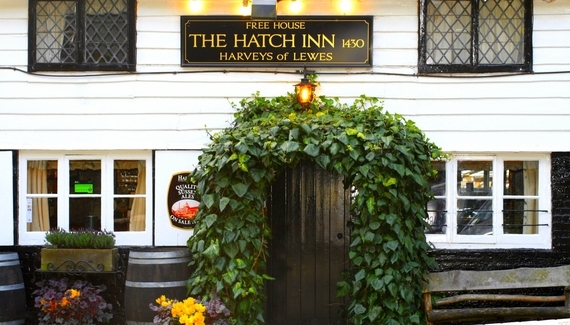 An utterly charming country pub without a whiff of gentrification. AA Milne's 100 acre wood & Pooh Bridge are on our doorstep, recently featured in the blockbuster film, Goodbye Christopher Robin. Following lunch why not spend a delightful afternoon at Sheffield Park Gardens & Bluebell Railway, just a few minutes away! Yes.....we have Morris Men dancing throughout the year commencing with 'Dancing at Dawn' on May 1st & culminating on December 26th with the 'Boxing Day Hangover Cure'. Be sure to arrive early! We don't allow dogs & children, we welcome them. 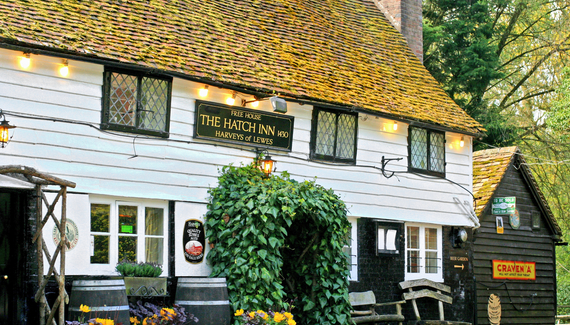 Have you visited The Hatch Inn? Starters from £6.50. Lunch from £11.50. Mains from £12.50. 3pm - 5.30pm. Mon - Fri. Open all day Sat & Sun. A spacious woodland yurt with woodcraft courses aplenty!